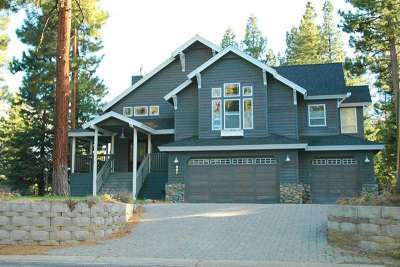 Real estate in Lake Tahoe’s Montgomery Estates is consistently one of the most sought-after neighborhoods in all of South Lake Tahoe for many reasons. Most of the homes in this subdivision are newer, well-kept, and offer either mountain or lake views. These factors help to maintain the area’s high median home value, which usually ranks in the top 3 for all of South Lake (usually just behind the Tahoe Keys and Heavenly Valley). It seems that most vacation home buyers are torn on whether to buy in the city or country. The country offers that symbolic mountain setting that everyone envisions when thinking of Lake Tahoe, but the city offers closer proximity to the lake, skiing at Heavenly Mountain, restaurants, casinos and nightlife. The nice part about Montgomery Estates homes for sale is that they offer both. It is considered to technically be out in the country, but it’s right on the edge of what’s considered to be city limits as well. Your home could be only a 4-mile drive to Heavenly Ski Resort, but you could also enjoy a private, forested setting. 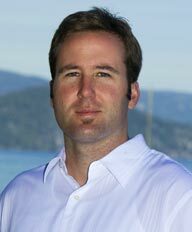 When it comes to buying properties in Lake Tahoe, Montgomery Estates real estate is always a safe bet. Montgomery Estates provides the tourist amenities described above, but it’s also a great family neighborhood for the local buyer. The streets are wide, well-maintained and full of friendly neighbors. Sierra House Elementary is one of the highest ranked schools is the district academically and is located at the foot of the Montgomery Estates subdivision, which adds to the family allure. Plus, this area offers endless trail access points for hiking/biking in the summer, or cross country skiing and snowmobiling in the winter. It’s not hard to see why Montgomery Estates is one of the all-around most popular neighborhoods in all of South Lake Tahoe.